CQRLOG ONLINE LOG UPDATE TAKES A LONG TIME TO UPLOAD HALF A DOZEN NEW QSOS TO CLUBLOG . IT UPLOADS A CALL, THEN LATER DELETES IT AND THEN DOES AN UPDATED UPLOAD FOR SAME CALL. IT UPLOADS EACH CALL TWICE AND DELETES EACH CALL ONCE. ANYONE KNOW IF THIS IS CORRECT BEHAVIOUR? IS DELETING ANYTHING CORRECT? A MANUAL UPLOAD TO CLUBLOG WITH AN ADIF FILE SEEMS TO WORK MUCH FASTER. A RECENT UPDATE WITH THE ONLILNE LOG FEATURE OF CQRLOG GAVE THE FOLLOWING RESULT IN THE STATUS BOX. ALL THIS FOR NINE QSOS. I HAVE NO IDEA WHY IS THIS HAPPENING. CQRLOG WILL UPLOAD ANY CHANGE OF THE ITEM INTO CLUBLOG OR OTHER ONLINE LOG SERVICE. PLEASE GO TO PREFERENCES -> ONLINE LOG SUPPORT. ON THE BOTTOM OF THE WINDOW THERE IS A CHECKBOX CALLED "IGNORE CHANGES CAUSED BY LOTW/EQSL UPLOAD OR DOWNLOAD. IT HAS TO BE CHECKED. 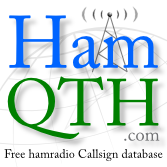 ANY CHANGE TO QSO WILL CAUSE DELETING THE OLD RECORD FROM ONLINE LOG AND UPLOAD NEW ONE. "Could not mark QSO as uploaded:TMySQL57Connection : Error executing query: Data too long for column 'cmd' at row 1"
Benny's problem occurs here, too. The switch "Ignore changes caused by LoTW/eQSL upload or download" is checked. I am having an isue too, with the upload to Clublog. So I erased my log on Clublog, loaded it directly and manually on the clublog site, with the adif generated by CQRlog , but the issue I am having with cqrlog persists. Any ideas ?